The SSE SWALEC hosts international cricket, and the first-ever test match in Cardiff was played here between England and Australia in July 2009. The result of the five-day match was a draw. It was the first of five games in the Ashes series between England and Australia – see below for more about the Ashes. The England cricket team represents Wales as well as England. The sport’s governing body is the England and Wales Cricket Board, established in its present form in 1997. 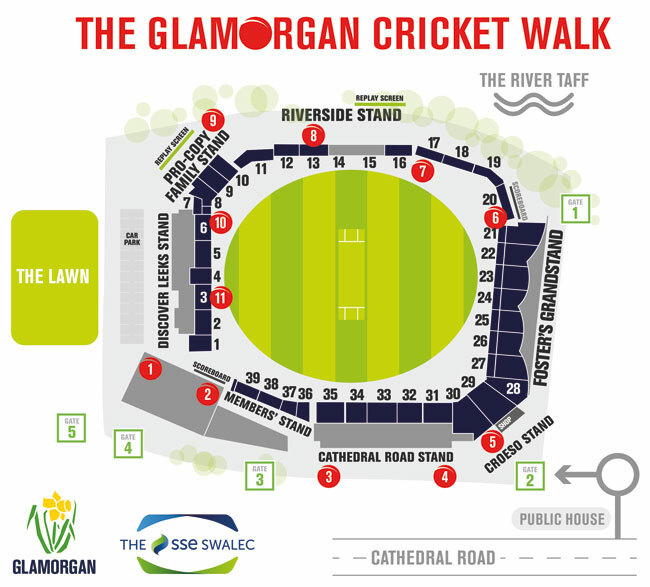 The board’s decision to hold test matches in Cardiff came at a time when Glamorgan CCC were upgrading their facilities and raising the ground’s capacity. Building the £16m new stadium took 60 weeks during 2007 and 2008. The finished structure has 130 toilets, 207 doors and 422 panes of glass. There is also 1.1km of underground drainage and 7km of buried cables. Around 30 people regularly work at the stadium. This number is increased by 1,500 on major match days, when temporary employees work here. England and Australia compete for the Ashes with a five-match series, around six times per decade, either in Britain or Australia. The name for the keenly-fought series comes from a love story. It began with a satirical obituary penned by Reginald Shirley Brooks, a London journalist, in 1882 after England’s first defeat on home soil to Australia. He wrote that English cricket had died and “the body will be cremated and the Ashes taken to Australia”. The following winter, while the team were playing in Australia a female admirer presented the England captain with a small terracotta perfume bottle, containing some ashes. The pair later married and the Ashes urn became the iconic symbol for the series between England and Australia. The QR codes for this page are at position no 11 (shown in red) on the map below.